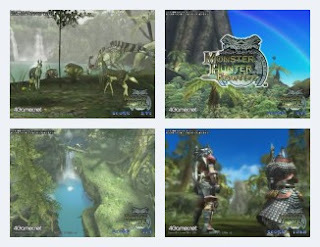 Monster Hunter Frontier is the online version of Capcom's very-popular-on-PSP series of adventure/RPG games. Find, hunt or capture monsters, buy equipment, repeat. The benchmark shows off the world, creatures and monsters, and characters from the game. Lovely to look at, though mostly green forests. Good music and sound effects. Running time is about 4 minutes. Not many options to tweak. Game menus are all in English. Recommended. Damnit the link stops at 98% and to make matters worse its not resumable (i use flashget btw). Anyway im an avid visitor of your blog keep up the good work! Shame about that 98% thing... If you go to the download page (as above), you can see a bunch of other download links (such as Gamespot Japan). Try one of them! Thanks for the update. I've changed the link above. I can't remember if it is in Japanese or not. If it was, then it was pretty easy to navigate (menus, etc).